Today’s podcast features Toni Blackman, who shares some highlights from her career, lessons she’s learned, and how fear, self-confidence, and living without regrets has shaped her life choices and artistic path. “This whole belief that you're supposed to be fearless, that stops a lot of people. But there’s a lot that we can get done and complete while fear is still here,” she says. Overcoming that fear, and living her life without regret, is one of Toni’s strongest motivators. As a freshman in college she heard a speaker talking about how no one wants turn 50 years old, and wonder what would be different had they taken “what if” chances throughout their lives. “It resonated with me so deeply that so much of what I do comes from, ‘I’m going to do this ‘cause part of me wants to do it, and instead of overthinking myself out of doing it, I’m just going to do it,’” she says. Toni also shares how, if her circumstances had been just a little different, she might not have become an artist. Although most of her family members were accomplished athletes, Toni suffered from asthma and allergies, and at times couldn’t even go outside. Since she couldn’t play sports, she began writing poetry instead. With the help of her aunt, who was an English teacher and published author, Toni self-published her first poetry book at the tender age of 8. Toni is known for her self-confidence and fearlessness, but she says that wasn’t always the case. In fact, she was shy as a child until she began dancing regularly. And although she projected self-confidence, it wasn’t until she had to push herself through a challenging Speech and Debate tournament in college that she finally began to connect with her self-confidence on a deeper level. Since then, she’s made it a career goal to help other people connect with their authentic confidence through workshops, practices, and other activities. She and Mauren also discuss the upcoming release and inspiration behind Toni’s “Hip Hop meditations,” a project that has its roots in work that Toni was doing in the early 90s, but has finally come to fruition in her “Meditation Mixtape Series,” soon to be released through Independent Ear and the Brooklyn Sound Lab. Toni offers advice to other creative women, saying that while it is important to do your inner work and heal your hurts, waiting until you’re “done” to start seriously creating is a mistake. 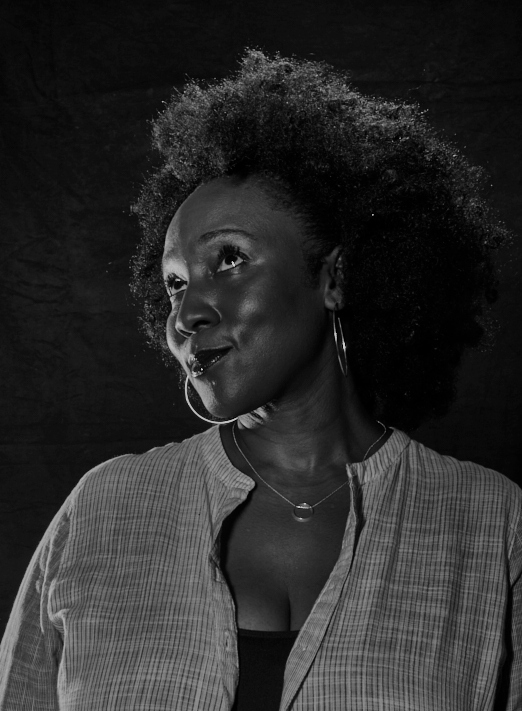 Toni Blackman, a highly respected artist and social entrepreneur, is the first Hip Hop artist selected to work as a Cultural Ambassador with the US Department of State. This visionary artist leads freestyle masterclasses, rap cyphers, has developed innovative approaches to using the cypher as a concept for community building, leadership development, and healing, and is a Visiting Scholar with NYU's MusEd Lab. She is also the creator of Freestyle Union Cypher Workshop and Rhyme Like A Girl, for which she was awarded prestigious Echoing Green and Open Society Institute fellowships (Soros Foundation).